Wuxi Shenxi Bearing Manufacturing Co. Ltd. is a renowned company based in Wuxi, China. Established in the year 2007, the organization is engaged in manufacturing and supplying quality bearings and allied products that are available under the brand name SMX. Widely demanded in automobile, food and beverage and many more industries, our offered bearings are widely acclaimed for their rugged design, corrosion free nature, easy installation, high tensile strength, dimensional accuracy and high durability. 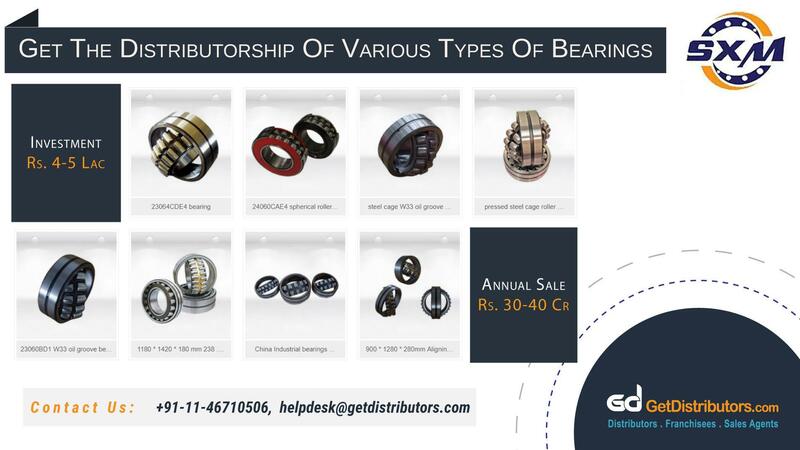 Besides, these bearings can be availed by our esteemed clients in standard as well as in customized specifications at nominal rates. To expand our business in various parts of India, we require state level distributors. The investment amount needed would be between Rs. 10.00 Lac – Rs. 12.00 Lac.